Happy New Year from Fancy Tiger! 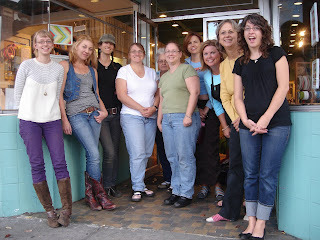 We really appreciate all of your support during our past 2 1/2 years in business. 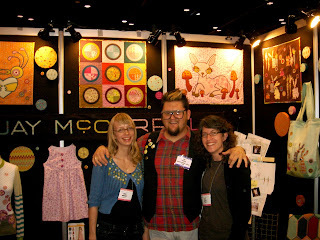 We have some awesome and exciting plans for 2009 to keep you crafting and inspired! Look forward to more Fancy Tiger-made and Fancy Tiger-exclusive products, kits, and patterns in 2009. The first product we'd like to introduce is our new all-natural wool wash! 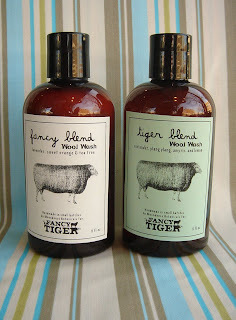 This locally made wool wash comes in two scents - the Fancy blend and Tiger blend and is great for blocking or washing your handknit items. 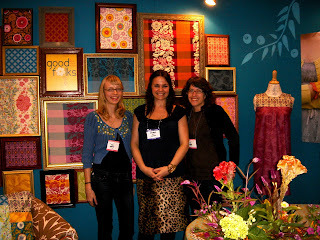 We look forward to surprising you with more great crafting products and hope that you all have an abundant and creative 2009! 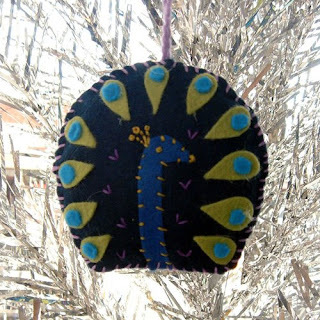 Here is a little holiday gift for all of our blog followers--a cute handsewn peacock ornament pattern! Jaime made this ornament for our Fancy Tiger holiday tree and it is super cute. You can download the pattern to make your own Peacock ornament right here. Enjoy! Happy holidays - thanks for all your support! 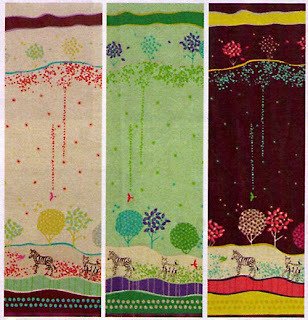 New Echino Fabrics by Etsuko Furuya! 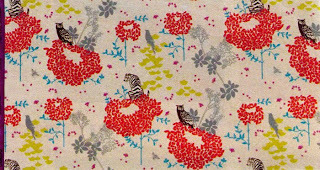 We have tons of new Japanese fabrics in by our favorite fabric designer - Etsuko Furuya. The colors, imagery, and scale all come together to form pure awesomeness that we can hardly keep from eating. Come and get it. 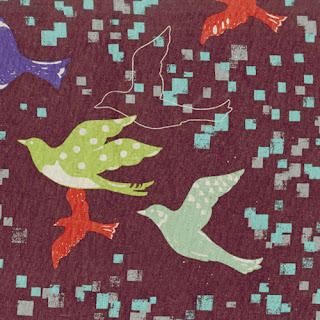 Also in - new Amy Butler fabrics (Midwest Modern II) and more Japanese fabric by Kokka featuring tiny bikes floating in clouds (eek!!) and dutch horses! 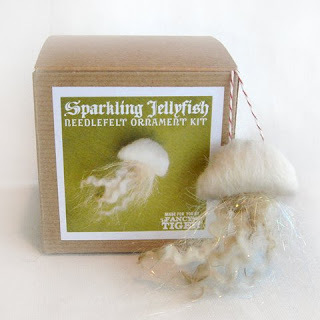 Today, some holiday gift ideas for the knitter on your list. 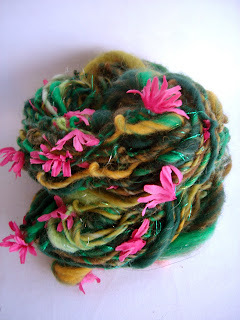 Zealana Possum Yarn--New Zealand possum naturally hand dyed in Colorado! 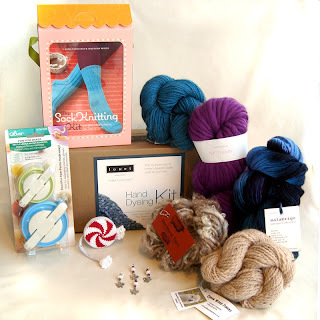 We've got lots of great kits for the all in one, easy-peasy kind of gift giving. 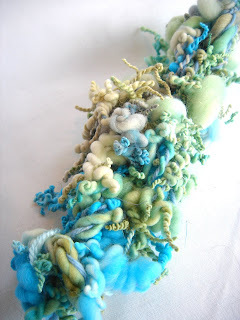 For the knitter who wants to dabble in dyeing--the hand dyeing kit includes three skeins of yarn, dyes, woolwash, and instructions for dyeing and knitting your own one-of-a-kind scarf. 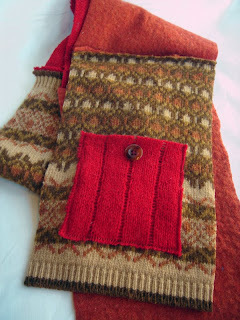 The sock knitting kit is a great gift to for those ready to take on socks. 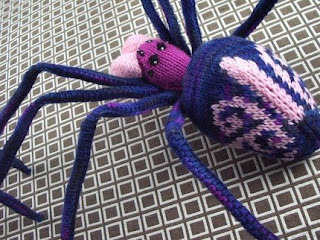 It includes sock yarn--enough for one pair of socks--a set of needles and six different style of sock instructions for to choose from. 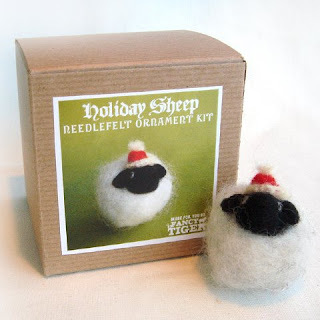 Some fun knitting accessories which make great little gifts or stocking stuffers--how about locally made fancy stitch markers with cute sheep on them, a pom-pom maker for fun embellishment of handknits or a festive peppermint twist measuring tape. 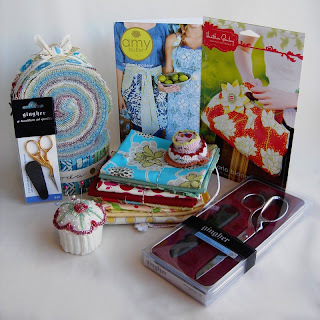 We've got lots of great holiday gift ideas for the sewing addict in your life. 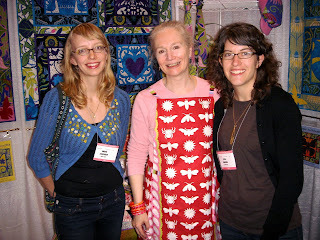 Just in--the newest Amy Butler, Heather Bailey and Portabellopixie sewing patterns! 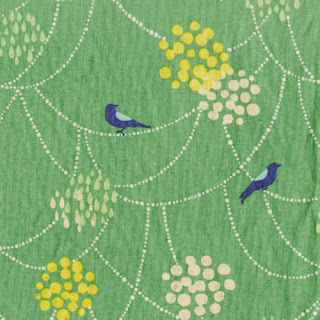 We've got great new patterns for aprons, handbags, pincushions, cute baby toys and more. 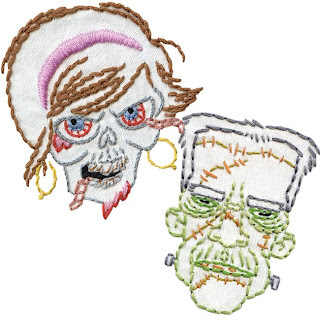 Does your favorite stitcher have a pair of Gingher fabric shears or thread snippers yet? These are the crème de la crème of sewing scissors--an essential for every sewing studio! Also for the sewing room, some really cute accessories, are our cupcake pincushions and cake tape measures. As always, we have great fabrics to choose from--a yard or two makes a great gift--and we have cute fat quarter bundles that are great for small projects or quilters. Holiday Gift Guide part 1 - Books! This is part one of our Holiday Gift Guides featuring awesome books for crafty types. For General Crafters: Switch Craft - an awesome new book all about incorporating electronics into your crafts. 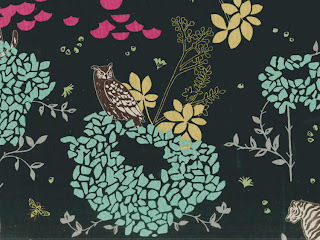 Handmade Nation - all about crafty people who are heading the craft revolution in America, a gorgeous and inspiring book. 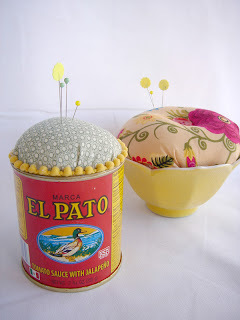 Stitched in Time - various projects for machine and hand sewing that are all adorable and old-timey. 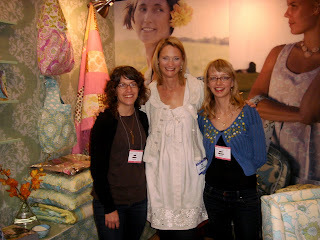 For the Seamster: French General Home Sewn - sewing projects for the home, inspired by Provencal French living! Zakka Sewing - a cute Japanese sewing book translated into English! Seams to Me - by fabric designer Anna Maria Horner this book features awesome patterns from skirts to bags to sewing organizers! 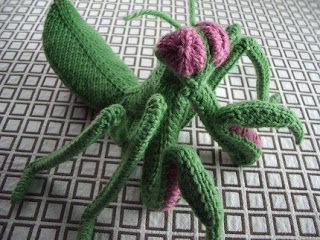 For the Knitter: Picture Perfect Knits - super sweet designs and instructions for intarsia knitting. Knitting America - a coffee table book that celebrates the history of knitting. Continuous Cables - the new book from the authors of Cables Untangled featuring all new patterns! 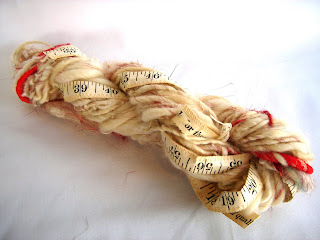 For the Felter or Spinner: A Fine Fleece: lots of patterns to knit with your handspun yarn. Beautiful Sheep - stunning photographs of tons of different breeds of sheep (cute!!) 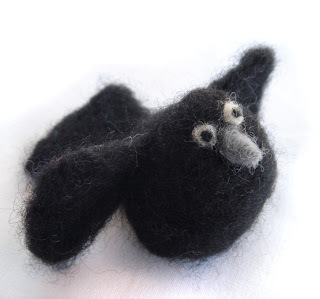 Wool Pets - our favorite book for felting! We are super excited about the art show going on right now at our neighbors Sputnik. 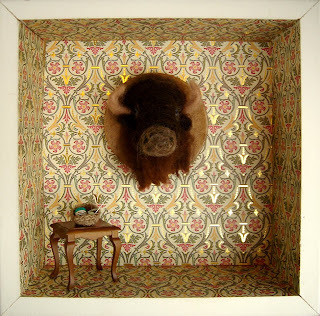 58 artists and crafters each designed a diorama. 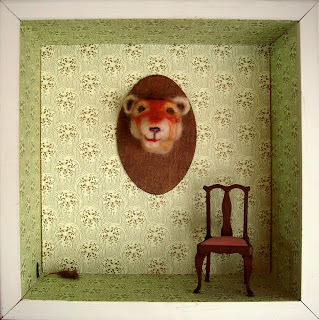 Fancy Tiger did 2 and of course we had to showcase needlefelting. They are available in a silent auction with all proceeds benefiting Share our Strength. The opening party is tonight starting at 8pm and the auction will be going on through the month! Be sure to stop by and check it out! Do you like Angora Goats? We do! 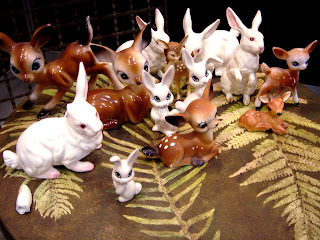 We think these cuties are the cutest things we've ever seen. They produce some of the softest, most lustrous and silky fiber around. 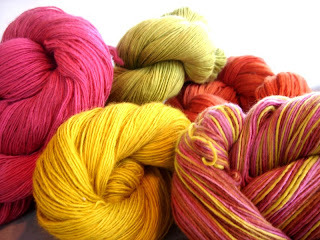 We just received a shipment of 100% kid mohair yarn from Wagtail Yarns, a small farm in Queensland, Australia. 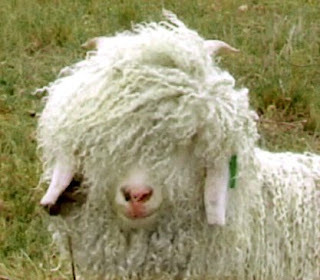 They raise, shear, spin and dye all their mohair - from little curly guys like this. Do you know why they call their farm "Wagtail"? Have you ever seen an angora goat that is happy to see you? They wag their tail like a happy puppy. Omg, we want to live on their farm! You might want to come by and see this stuff in person. It's irresistible! 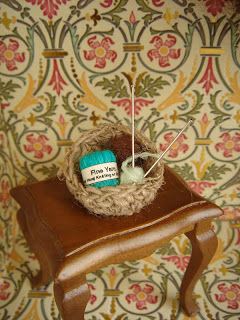 We also have some fantastic one skein patterns for it. 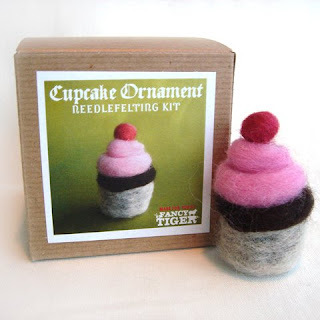 Of course, we're all about handmade gifts here at Fancy Tiger. We know that can be a lot, especially if you have a large family or a lot of friends to account for. That's why we've created the Holiday Gift Series - this series has you complete a handmade gift in an hour, for minimal cost. This year choose from Herbal Sugar Scrubs, Melt and Pour Soap, Patchwork Scarves from felted sweaters, Needle Felt Jellyfish Ornaments and Scrap Fabric Pin Cushions. 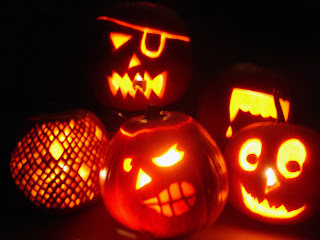 Each class is $20 and includes all materials! Check the schedule here. We are so excited--excited enough for triple exclamation marks!!! 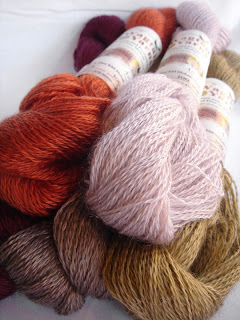 We just received our Malabrigo order and now carry Malabrigo Lace and Sock yarns. Check out the loveliness. 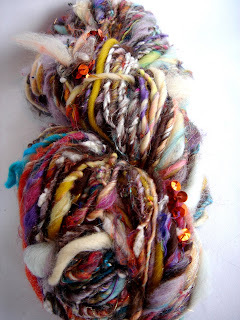 If the world were made of Malabrigo what a soft, soft world it would be! The colors are amazing, as always. 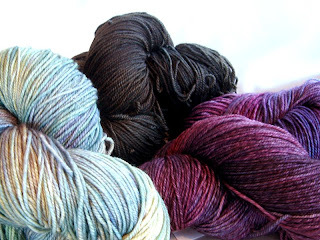 Also in--tons of Malabrigo's worsted and chunky. Perfect for Holiday scarf gift knitting! 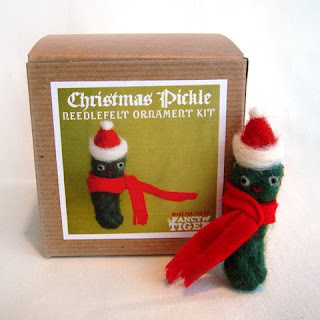 Holiday Ornament Needle Felting kits! 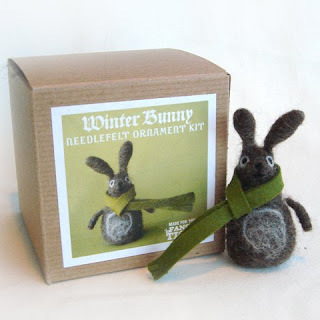 We have a new series of needle felting kits for the holidays! Ornaments! 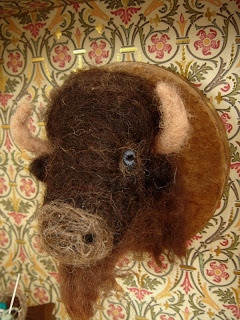 Needle felted friends make great ornaments that you can finish quickly - the perfect handmade holiday gift! 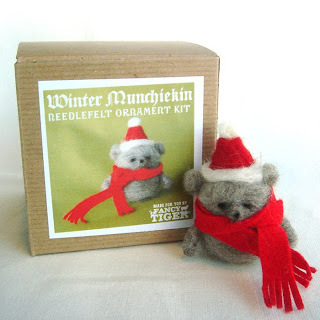 All 10 holiday ornament kits are available to purchase at Fancy Tiger, or if you live out of state, get them online here. 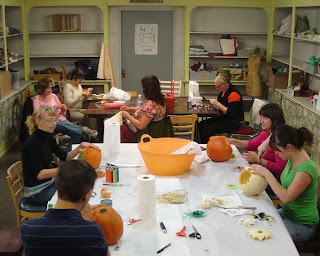 Our BYOP (bring your own pumpkin) craft night was lots of fun with many a jack-o-lantern being carved. 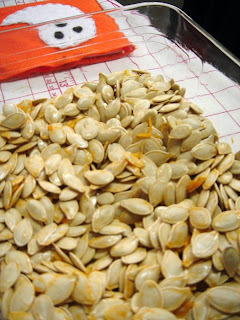 We ate pumpkin bread and cookies and saved our pumpkin seeds for roasting. 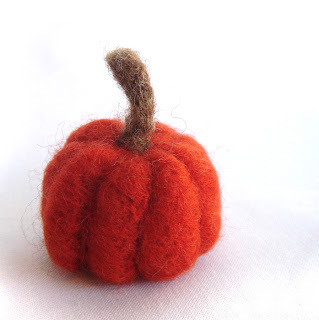 Nikki wins for the cutest little pumpkin. 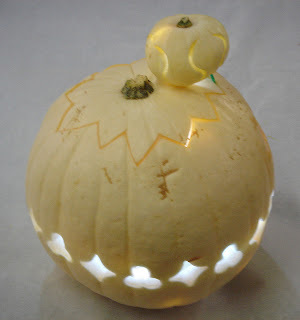 Check out her her mini lumina pumpkin sitting atop the momma pumpkin! Teeny!